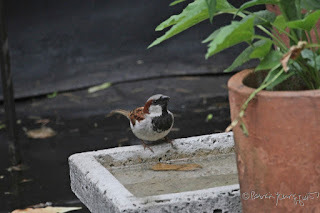 Welcome to the ninety-seventh segment of my Tuesday's Truths series, where as you can see, I'm featuring a male house sparrow in the three photographs atop this entry. 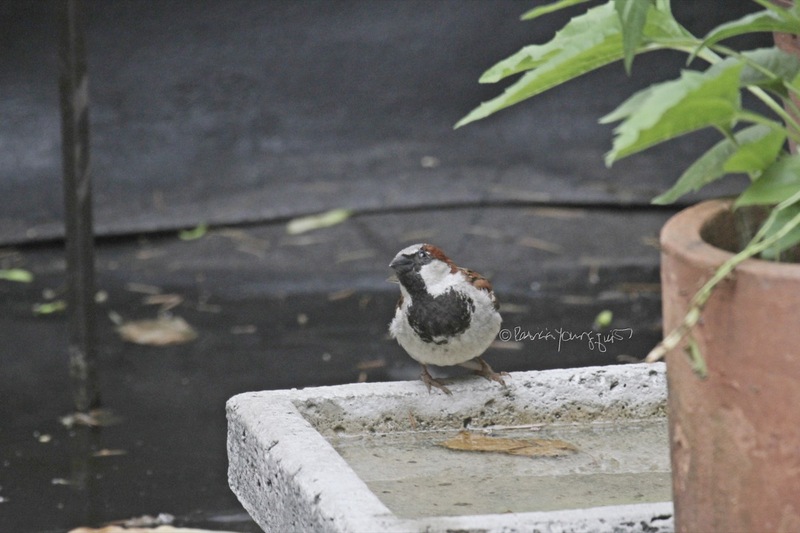 He is at one of the bird baths in my rooftop garden and judging from his physical characteristics, I think he is in breeding mode. 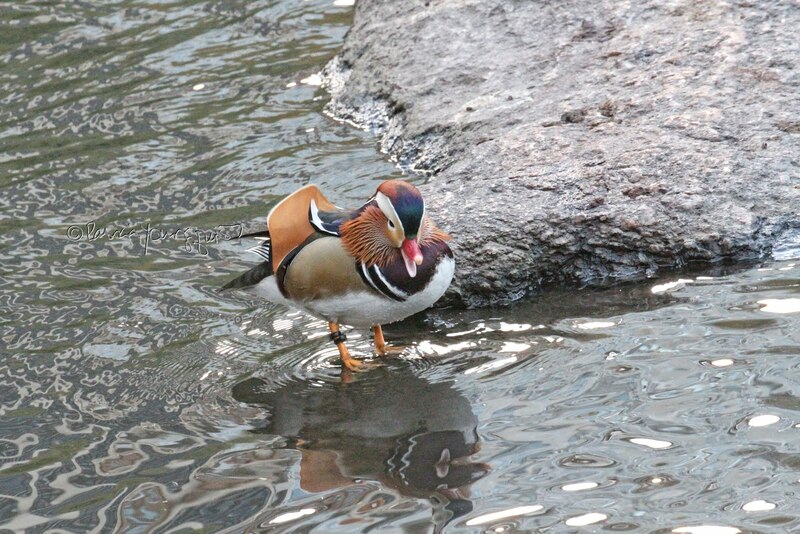 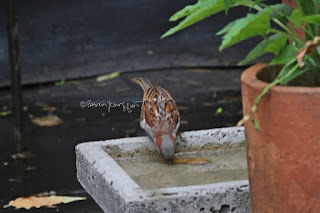 According to a web-page, "Males in breeding plumage have streaked chestnut backs, chestnut heads, and gray crowns. 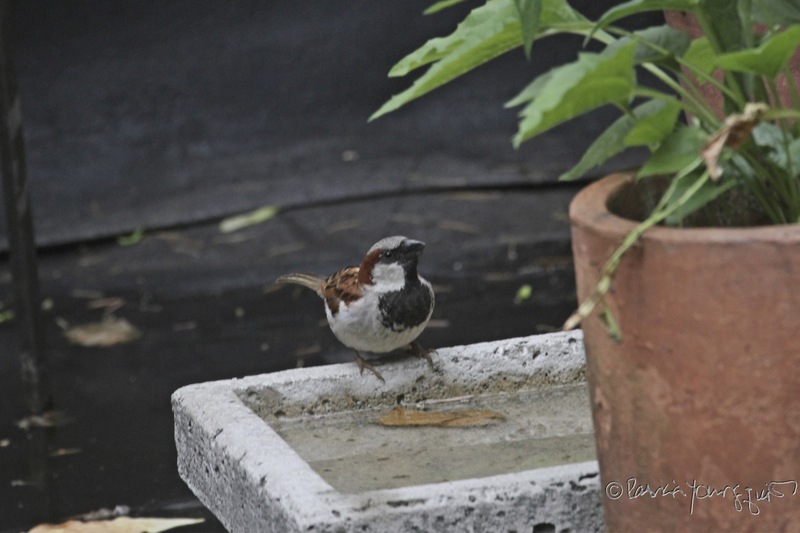 They have black throats and breasts and light gray cheeks and underparts. 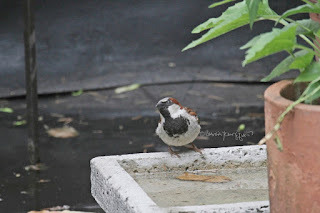 Males in non-breeding plumage look similar, but lack the black throat and breast, have less distinct markings on their heads, and have yellowish rather than black bills." 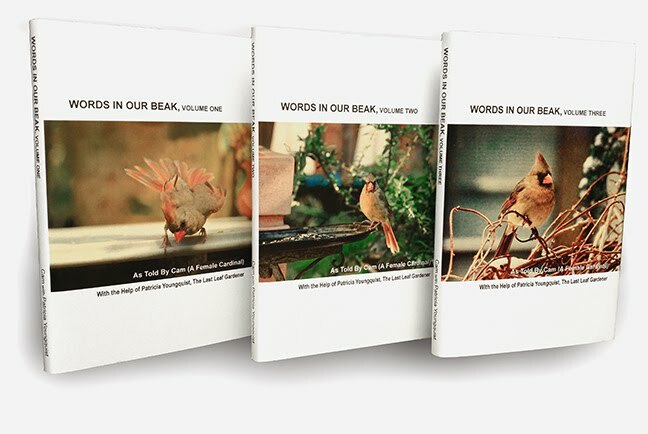 House sparrows have been featured in a number of postings here on Blogger and many facts re them (accompanied by pictures) are included in all three volumes of my Words In Our Beak book series.